The discovery of a previously unknown painting by Leonardo never fails to stir up the experts, the press, and the public. There are, after all, only 15 to 20 paintings — finished and unfinished — that are generally attributed to him. 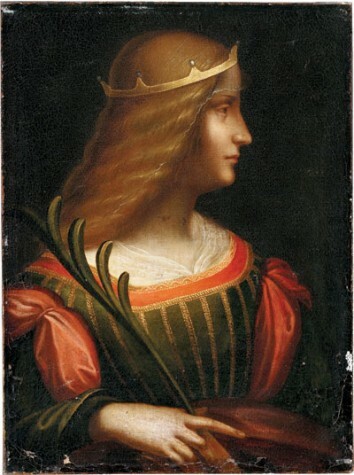 In early October, the Italian newspaper Corriere della Sera reported the existence of a painting closely resembling Leonardo’s colored chalk and pastel drawing of the noblewoman Isabella d’Este in the Louvre. The painting is part of a collection of some 400 works housed in a bank vault in Turgi, Switzerland, by an unnamed Italian family since the early 20th century, according to the newspaper account. It has been undergoing an extensive scientific analysis. Some experts say: yes, authentic. Others say: no, you can’t be serious. Basement Painting In Omaha: A Rembrandt! Unveiling: A Younger Version Of Mona Lisa?